Our customers have entrusted us with solving their dust problems for more than 50 years now. 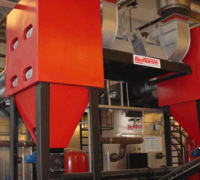 As pioneers in the field of hot gas blowers and mechanical dust collectors, our engineers have developed a wealth of different systems with which to meet statutory dust limit values. 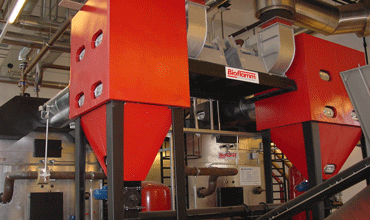 WVT filters prove their worth daily in operation behind Bioflamm® and other makes of boilers. The metal mesh filter MF is a filtering separator that cleans the flue gases from the combustion of wood by means of a stainless steel mseh. 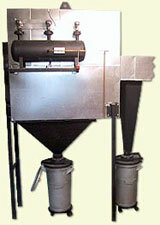 The filter mesh is in cartridge form and is installed upright in the isolated filter housing. By means of a matching pressure difference is cleaned depending on the pressure loss through the compressed air cartridge. For basic cleaning of the cartridges they are mounted on a simple lifting mechanism, so that the cartridges are easily and quickly to disassemble. 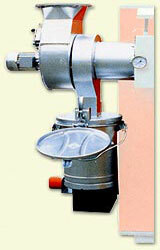 The filter housing has laterally a large inspection door with which you can easily replace the cartridges. All other areas of the filter can be reached through inspection openings. To protect the cartridges from condensation in the housing, a flue gas bypass is built, to redirect the cold flue gas to the outgoing. 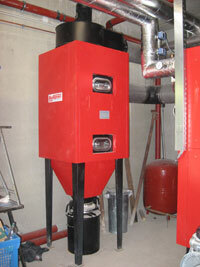 For connection to small furnaces with manual or automatic charging. 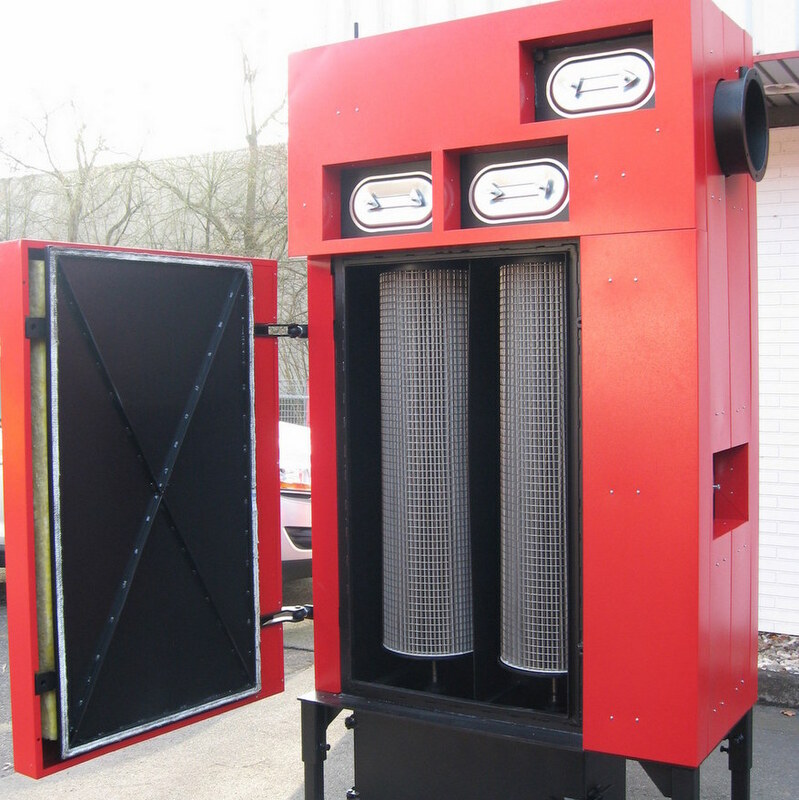 The leading exponent of mechanical collectors is the multicyclone, which is today no doubt the most often used dust collection system for wood furnace systems. Also usable in modular configurations as pre-collectors for electrostatic or fabric filters. Modularly constructed fine filter with cleaning by compressed air as alternative to electrostatic or fabric filters. 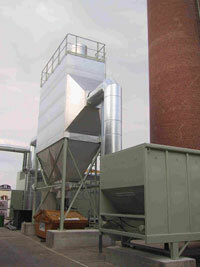 Electrostatic dust collection in industrial operations or high power range.